Silkworms (incorrectly spelled silk worms) are the larval form of the domesticated silk moth, Bombyx mori. The silk moth was domesticated in its native habitat of northern China from its wild cousin Bombyx mandarina, a cousin which still survives today. Archaeological evidence suggests that occurred about 3500 BC. The fabric we call silk is made from the long thin fibers produced by the silkworm during its larval stage. The insect's intent is to create a cocoon for its transformation into the moth form. Silkworm farmers simply unravel the cocoons, each cocoon producing between 100-300 meters (325-1,000 feet) of fine, very strong thread. People make fabrics from the fibers produced by at least 25 different species of wild and domesticated butterflies and moths in the order Lepidoptera. Two versions of wild silkworm are exploited by silk manufacturers today, one in China and far eastern Russia called Chinese B. mandarina; and one in Japan and southern Korea called Japanese B. mandarina. The largest silk industry today is in India, followed by China and Japan, and more than 1,000 inbred strains of silkworms are kept worldwide today. Silk fibers are water-insoluble filaments that animals (chiefly the larval version of moths and butterflies, but also spiders) secrete from specialized glands. Animals store the chemicals fibroin and sericin--silkworm cultivation is often called sericulture--as gels in the insects' glands. As the gels are excreted, they are converted into fibers. Spiders and at least 18 different orders of insects make silk. Some use them to construct nests and burrows, but butterflies and moths use the excretions to spin cocoons. That ability that began at least 250 million years ago. The silkworm caterpillar feeds exclusively on the leaves from several species of mulberry (Morus), which contain a latex with very high concentrations of alkaloid sugars. Those sugars are toxic to other caterpillars and herbivores; silkworms have evolved to tolerate those toxins. Silkworms are today completely dependent on humans for survival, a direct result of artificial selection. Other characteristics bred into the domestic silkworm caterpillar are a tolerance for human proximity and handling as well as for excessive crowding. Archaeological evidence indicates that the use of cocoons of the silkworm species Bombyx to produce cloth began at least as early as the Longshan period (3500-2000 BC), and perhaps earlier. Evidence of silk from this period is known from a few remnant textile fragments recovered from well-preserved tombs. Chinese historical records such as the Shi Ji report silk production and depict garments. The Western Zhou Dynasty (11th-8th centuries BC) saw the development of early silk brocades. Many silk textile examples have been recovered from archaeological excavations of Mashan and Baoshan sites, dated to the Chu Kingdom (7th century BC) of the later Warring States period. 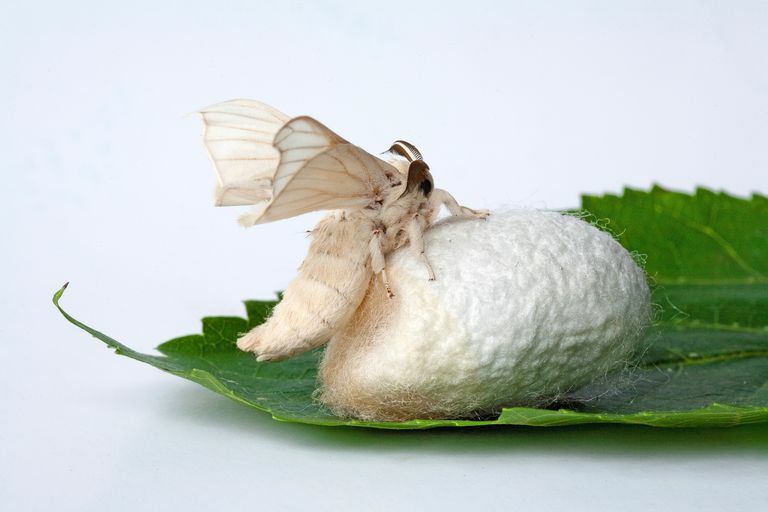 Silk products and silkworm-rearing technologies came to play a critical role in Chinese trade networks and in the interaction of cultures among different countries. By the Han Dynasty (206 BC-AD 9), silk production was so important to international trade that the camel trails used to connect Chang'An with Europe were named the Silk Road. Silkworm technology spread to Korea and Japan about 200 BC. 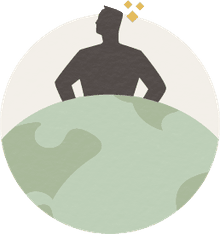 Europe was introduced to silk products through the Silk Road network, but the secret of silk fiber production remained unknown outside of eastern Asia until the 3rd century AD. Legend has it that the bride of a king of the Khotan oasis in far western China on the Silk Road smuggled silkworms and mulberry seeds to her new home and husband. By the 6th century, Khotan had a thriving silk production business. A draft genome sequence for silkworms was released in 2004, and at least three re-sequences have followed, discovering genetic evidence that the domestic silkworm has lost between 33-49% of its nucleotide diversity compared to the wild silkworm. The insect has 28 chromosomes, 18,510 genes, and over 1,000 genetic markers. Bombyx has an estimated 432 Mb genome size, much larger than fruit flies, making the silkworm an ideal study for geneticists, particularly those interested in the insect order Lepidoptera. Lepidoptera includes some of the most disruptive agricultural pests on our planet, and geneticists hope to learn about the order to understand and combat the impact of silkworm's dangerous cousins. In 2009, an open access database of the silkworm's genome biology called SilkDB was published (see Duan et al). Chinese geneticists Shao-Yu Yang and colleagues (2014) have found DNA evidence suggesting that the silkworm domestication process may have begun 7,500 years ago, and continued to around 4,000 years ago. At that time, silkworms experienced a bottleneck, losing much of its nucleotide diversity. Archaeological evidence does not currently support such a long domestication history, but the bottleneck date is similar to dates proposed for initial domestication. Another group of Chinese geneticists (Hui Xiang and colleagues 2013) has identified an expansion of silkworm population about 1,000 years ago, during the Chinese Song Dynasty (960-1279 AD). Researchers suggest that may have been associated with the Song Dynasty Green Revolution in agriculture, predating Norman Borlaug's experiments by 950 years. Deng H, Zhang J, Li Y, Zheng S, Liu L, Huang L, Xu W-H, Palli SR, and Feng Q. 2012. POU and Abd-A proteins regulate the transcription of pupal genes during metamorphosis of the silkworm, Bombyx mori. Proceedings of the National Academy of Sciences 109(31):12598-12603. Duan J, Li R, Cheng D, Fan W, Zha X, Cheng T, Wu Y, Wang J, Mita K, Xiang Z et al. 2010. SilkDB v2.0: a platform for silkworm (Bombyx mori) genome biology. Nucleic Acids Research 38 (Database Issue): D453-456. Russell E. 2017. Spinning their way into history: Silkworms, mulberries and manufacturing landscapes in China. Global Environment 10(1):21-53. Sun W, Yu H, Shen Y, Banno Y, Xiang Z, and Zhang Z. 2012. Phylogeny and evolutionary history of the silkworm. Science China Life Sciences 55(6):483-496. Xiang H, Li X, Dai F, Xu X, Tan A, Chen L, Zhang G, Ding Y, Li Q, Lian J et al. 2013. Comparative methylomics between domesticated and wild silkworms implies possible epigenetic influences on silkworm domestication. BMC Genomics 14(1):646. Xiong Z. 2014. The Hepu Han tombs and the maritime Silk Road of the Han Dynasty. Antiquity 88(342):1229-1243. Yang S-Y, Han M-J, Kang L-F, Li Z-W, Shen Y-H, and Zhang Z. 2014. Demographic history and gene flow during silkworm domestication. BMC Evolutionary Biology 14(1):185.